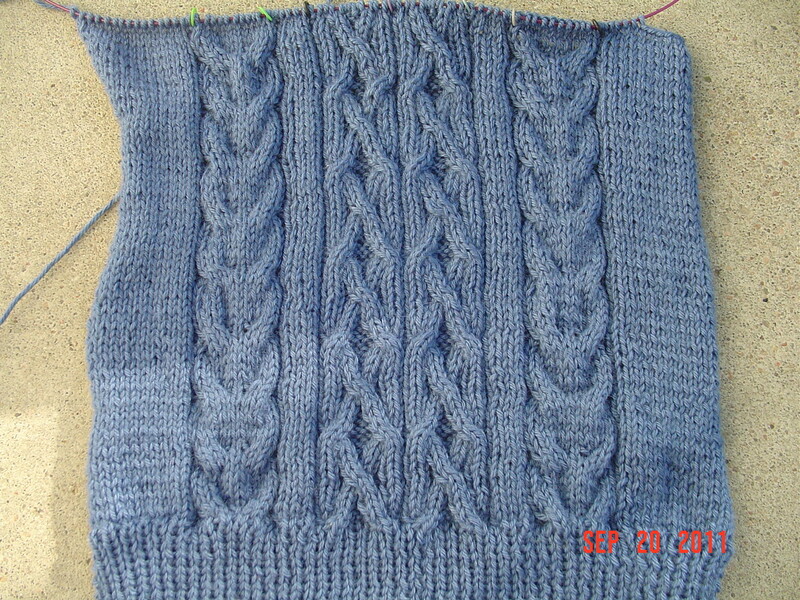 I’ve begun to knit the collar on my cloud chaser vest. I am enjoying this section of knitting immensely simply because it has many cables again. I like my cables. The collar is attached as one would attach a lace edging to a shawl, but the rows are short again and it lends itself to putting it down and picking it up again later very easily. 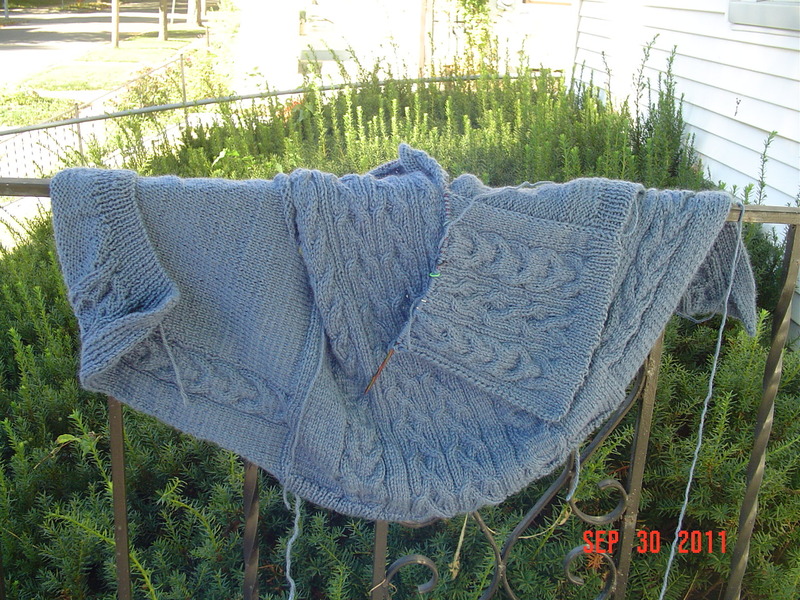 Once I am done with the collar, all I have to do is knit the armhole edging and I am done done done! A plain white sweater earns the title. Pattern is Attitude, but knit with very little attitude. Except on my part. 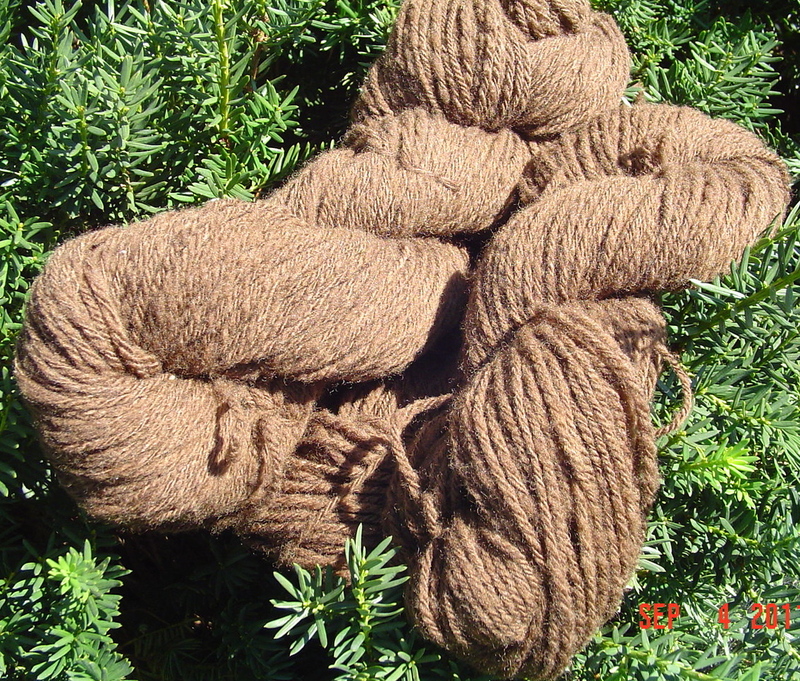 Yarn is Lorna’s Laces shepherd sock. When I soaked this sweater, it grew 3 sizes. 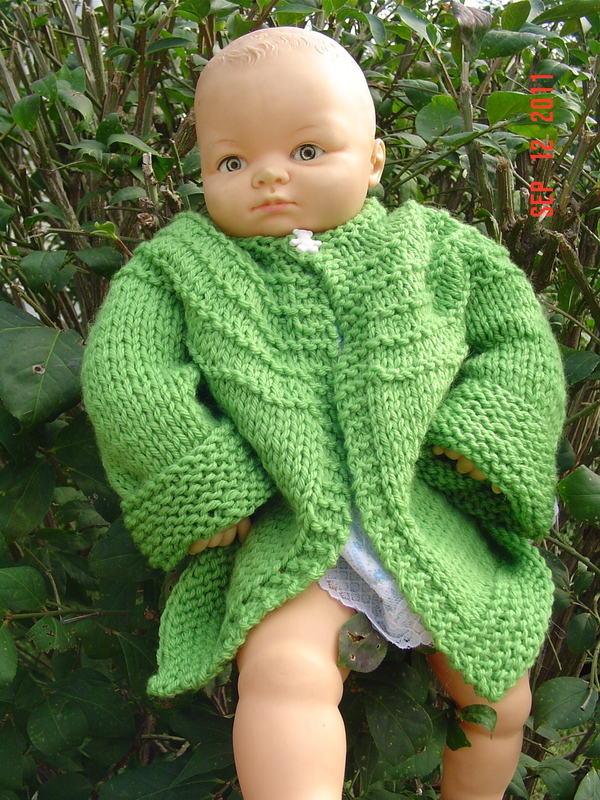 I became very nervous that I’d have to reknit it completely. I didn’t want to! So I decided I’d have nothing to lose by throwing it in the dryer, and lo and behold it worked! It looks better now than it did when it came off the needles. I am very impressed with this superwash. While the color of the sweater did not thrill me one bit, I must say the sweater itself is very nice. 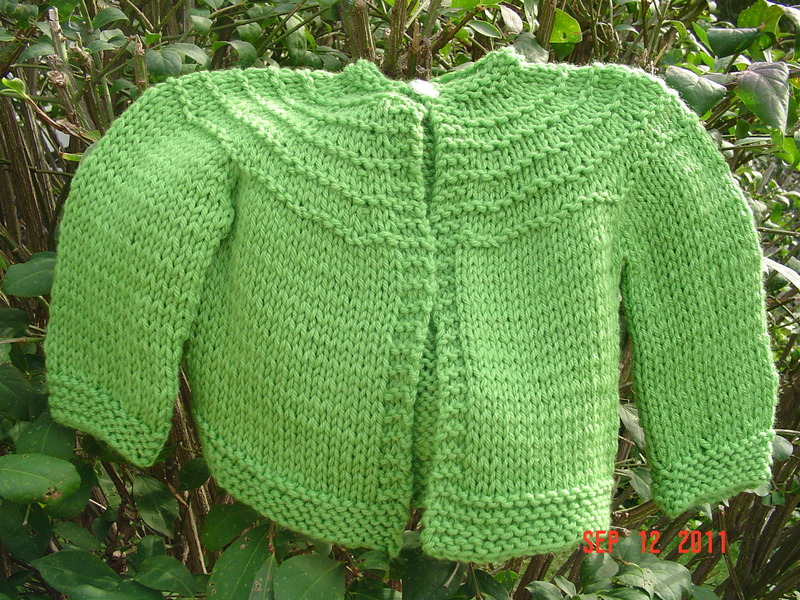 I might someday be interested in knitting it in a color for me. Way back during our last dye day, OrangeKathy dyed up some yarn that I just fell in love with. 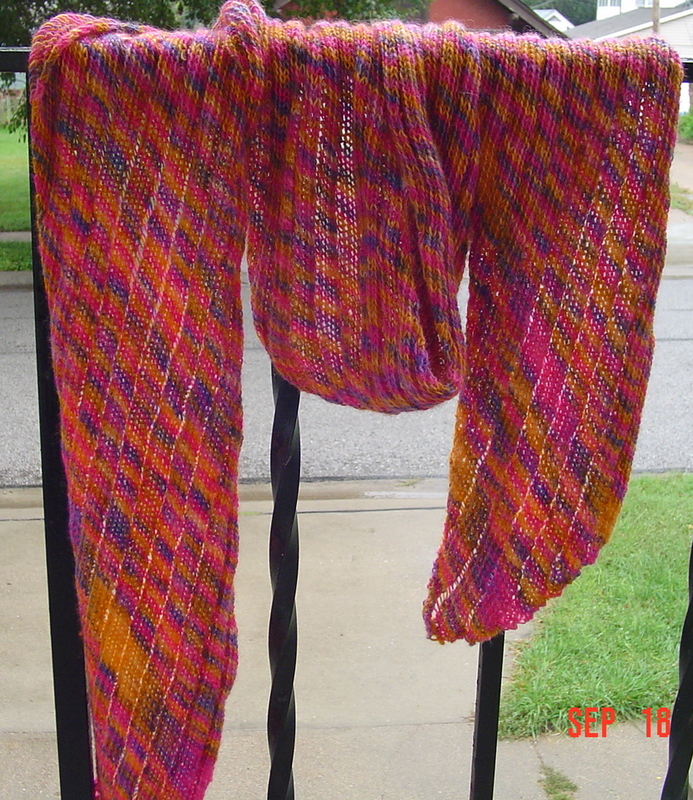 I’d been wishing to knit another clapotis, and I figured the heavily variegated yarn would work well with that. As I knit, I realized that the colors were probably more Bug appropriate than they were appropriate for me. So, this has become her winter scarf. 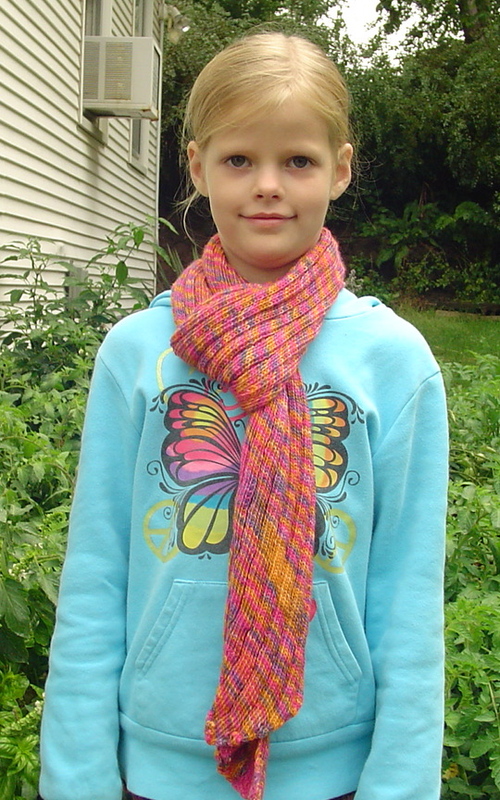 I must say, I still love the bright colors, and have asked Bug if I could borrow it from time to time, but it is this little girl’s dream scarf. Guess what? 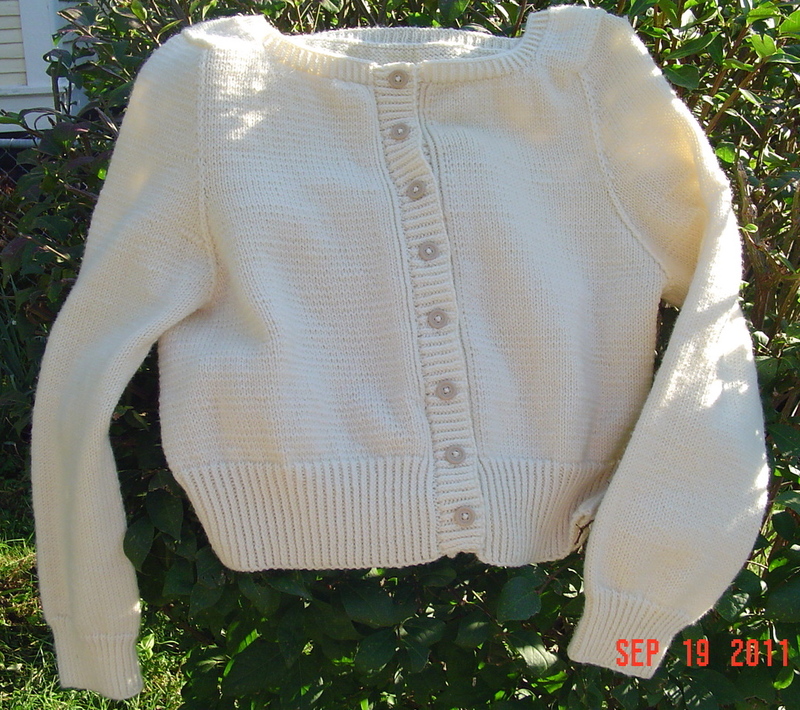 The white sweater is also complete except for buttons. Pictures forthcoming!